300 Bel Air Drive has a Walk Score of 38 out of 100. This location is a Car-Dependent neighborhood so most errands require a car. This location is in Vacaville. 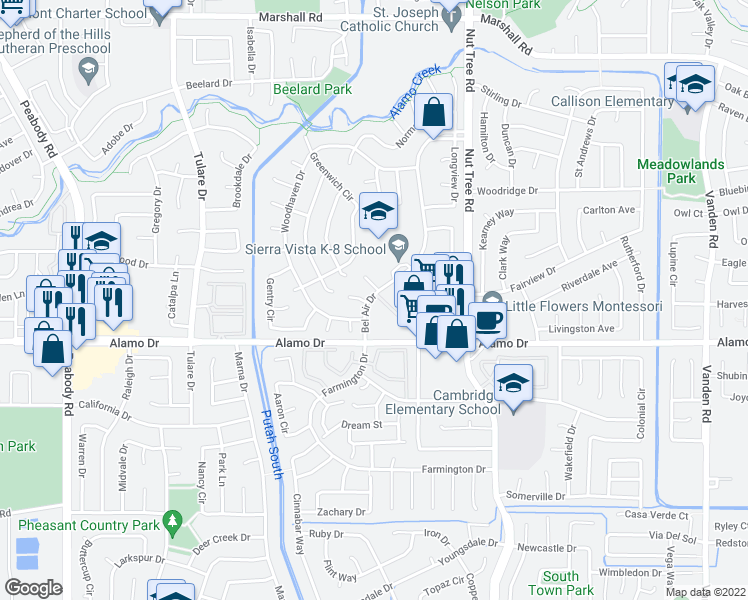 Nearby parks include Creekside Park, Sierra Vista School Park and Cambridge Park. Explore how far you can travel by car, bus, bike and foot from 300 Bel Air Drive. 300 Bel Air Drive has some transit which means a few nearby public transportation options. This location is in the city of Vacaville, CA. Vacaville has an average Walk Score of 36 and has 92,428 residents. Newly Renovated 2bed/1bath with garage available NOW! DUPLEX like new. 3br2.5ba min to TAFB/I-80. 5385 Alonzo Rd.